This is not a billboard and hence off topic, but I couldn't resist. 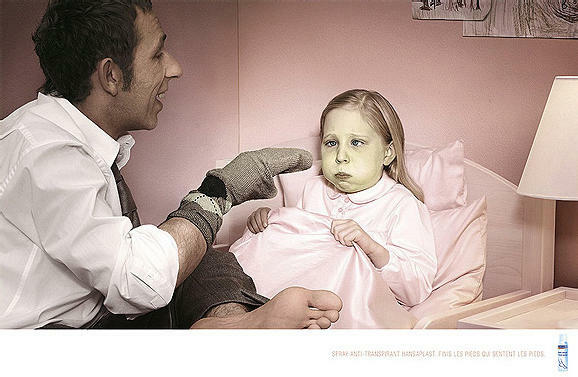 A print ad for some foot spray. Click to enlarge. Source: advertka (in Russian).